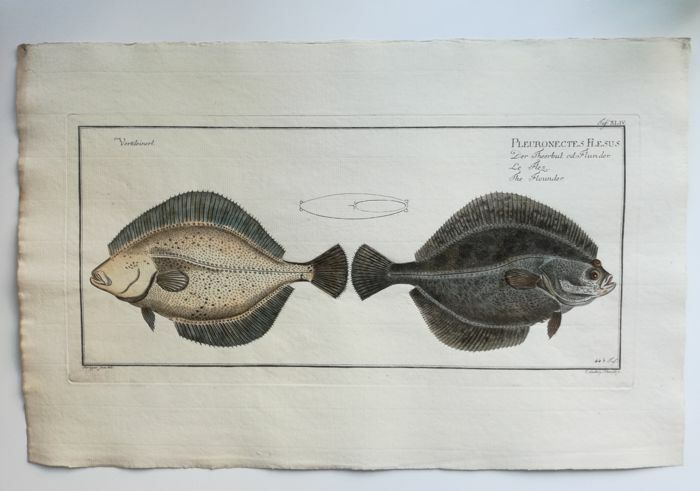 Friedrich Georg Schmidt - Pleuronectes FLESUS aus "Ichthyologie, ou histoire naturelle generale et particulare des poissons"
Pleuronectes FLESUS aus "Ichthyologie, ou histoire naturelle generale et particulare des poissons"
This special print of a “Flounder” was etched by Georg Friedrich Schmidt after J. 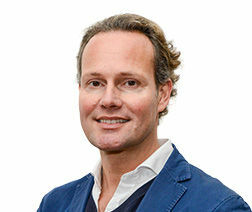 A. F. Krüger. by Marcus Élieser Bloch between 1782 and 1795. 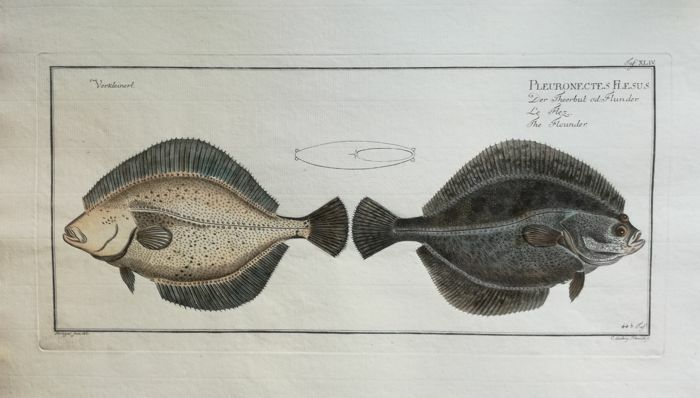 The print shows both sides of the fish. 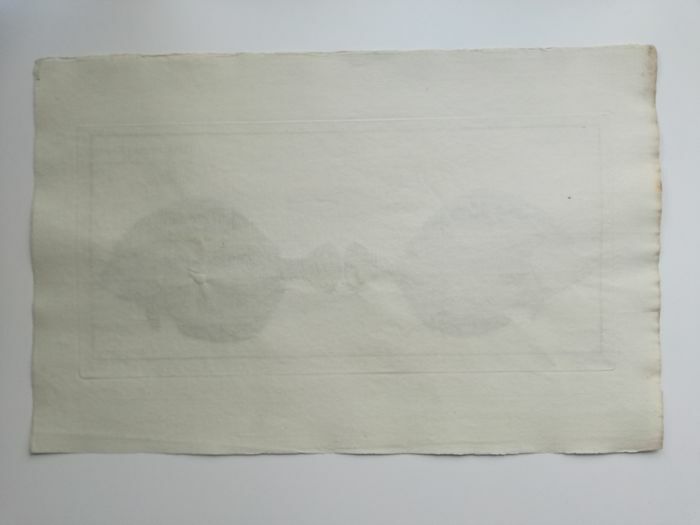 The edges of the sheet are slightly rubbed and browned. 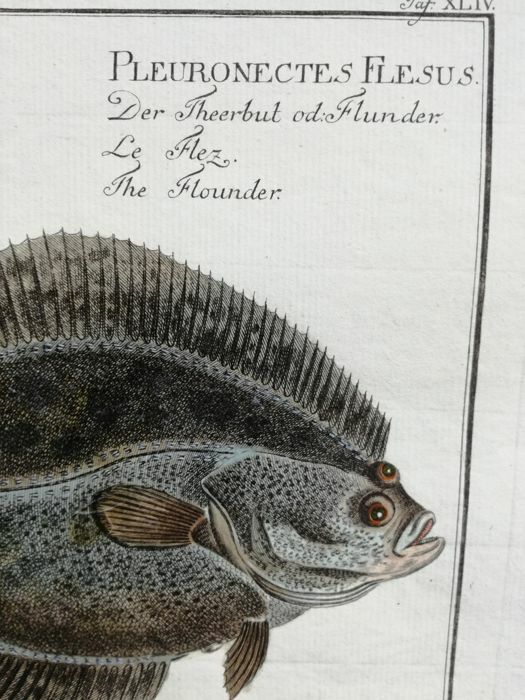 Nevertheless, the print in very good condition that corresponds with its age. The signatures of Anton Ferdinand Krüger as well as Georg Friedrich Schmidt are legible on the bottom edge. 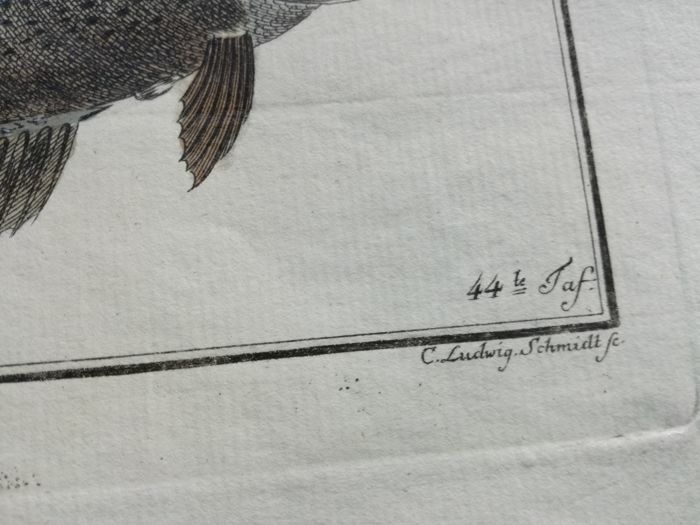 Above the printed signature of F. G. Schmidt, the table numbering "44te Taf" is written by hand. You can pick up this lot from the seller: Neuss (NRW), Germany.